MD&A Parts Division offers the patented advanced design Guardian® packing ring. Guardian® packing rings can be installed in the HP, IP, LP turbine sections along with all gland seal areas in any steam turbine. 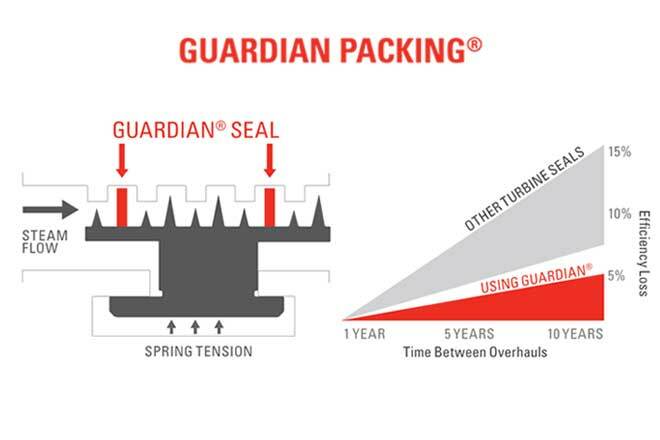 Unlike some packing designs, Guardian® Packing rings maintain a positive radial seal during shutdown, turning gear, start-up, and unit operation. Positive radial sealing is a fundamental component to maintaining unit efficiency. No stationary fit modifications are required. Unlike most brush seals, the Guardian packing rings are not a shaft-riding seal. The Guardian posts are set with slightly less radial clearance than the conventional teeth, so if a rub condition should occur the Guardian post would contact the rotor first, thus preventing damage to the conventional teeth. 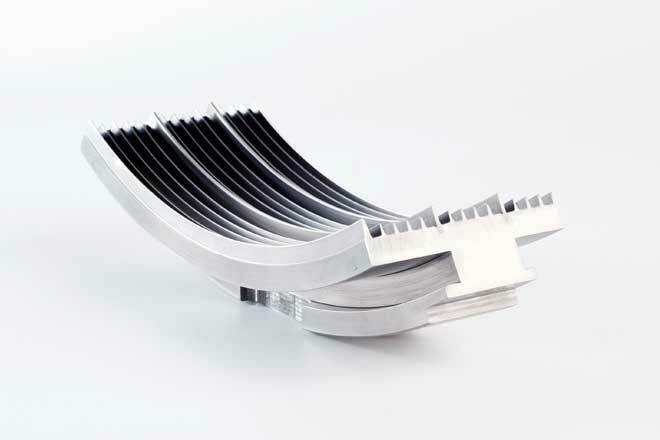 Light coil springs are used to hold the rings in a positive seal position during shutdown, turning gear operation, start-up and running conditions. Lighter coil springs lessen radial forces only during start-up. 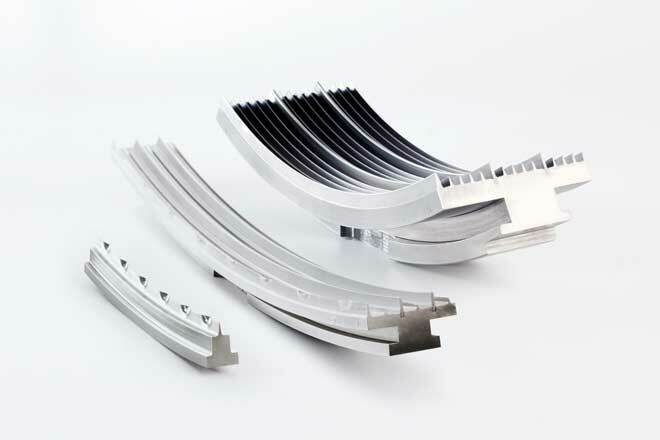 If a rub should occur during start-up this allows for freer movement of the seal, lessening the radial forces applied to it when compared to conventional springs (leaf or arch bound design). When rubs do occur they do not grow in intensity as with conventional materials or brush seals. Guardian post material, with its low coefficient of friction, non-galling, and long-wearing characteristics, prevents damage to the rotor body even during extreme rub conditions. This low coefficient of friction means it does not generate the heat associated with conventional materials in a rub condition, eliminating the heat-affected area associated with other seals. The Guardian seal cannot remain in a retracted position, eliminating the potential for major efficiency losses. The custom installation places the bore of the seal to the corrected radial position, compensating for potential out-of-roundness conditions or offsets in the stationary fit areas. The seals are adjusted round to the rotor using readings supplied by the alignment contractor. When combined as an integrated sealing system, Guardian packing rings & Vortex Shedder tip seals are proven to increase overall turbine efficiency above design by 1.5% - 4.5%. Increased unit efficiency translates to lower EPA emissions per megawatt/hr, as well as, lower operating costs.